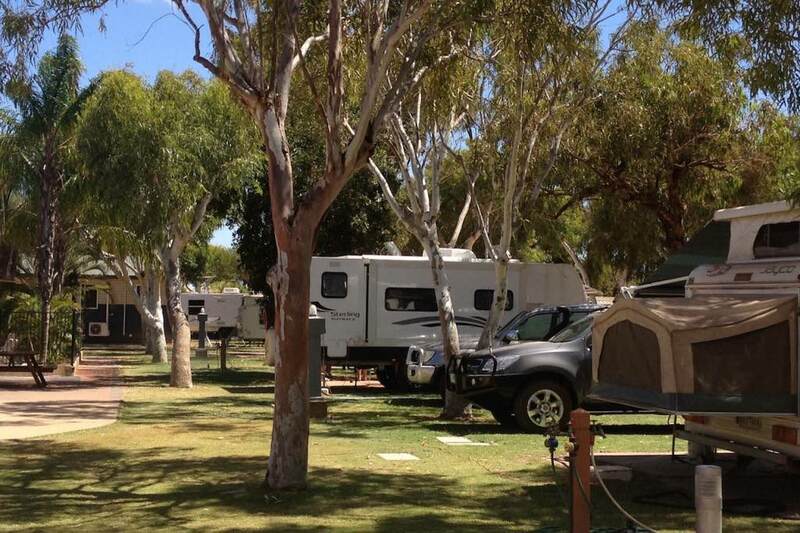 Our shady and grassed sites for caravans or camping can accommodate up to 6 people per site with a maximum of 4 adults. The large shady sites, most with annex pads and grassy surrounds offer good TV reception and have powerheads, sullage and are supplied with excellent town water. There is also a conveniently located dump point for chemical toilets. Pets are permitted on our camp sites, but conditions apply. Please refer to our Travelling with Pets page. Pets permitted on site FREE OF CHARGE. Conditions apply. Accommodation: There is a number of chalets and cabins where pets are permitted inside (namely our Family Ensuite Cabin, Deluxe Family Studio Chalets, Standard Cabin and Onsite Caravans). Pets must have their own bedding and are strictly not permitted on furniture or accommodation bedding. Additional cleaning fees up to $200 apply for any breaches of this rule. For all other chalets and accommodation, pets must remain on a lead on the verandah and are strictly not permitted inside. Additional cleaning fees apply if this rule is breached. Pets are not permitted in any communal areas (camp kitchen, laundry and amenities).